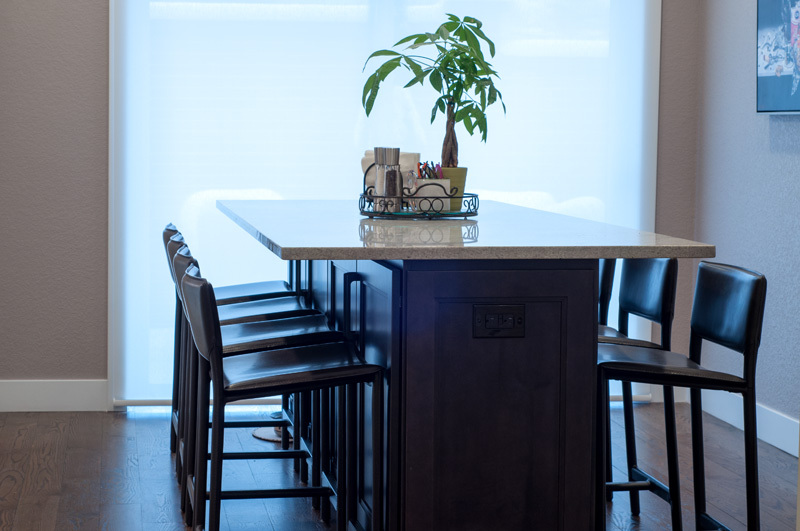 Last year I renovated a new home, including taking the kitchen down to the studs and completely redesigning the space to combine what was the breakfast nook (where this island now sits) with the galley kitchen, making one very large and very functional kitchen that works great for me alone, family gatherings, and teaching. 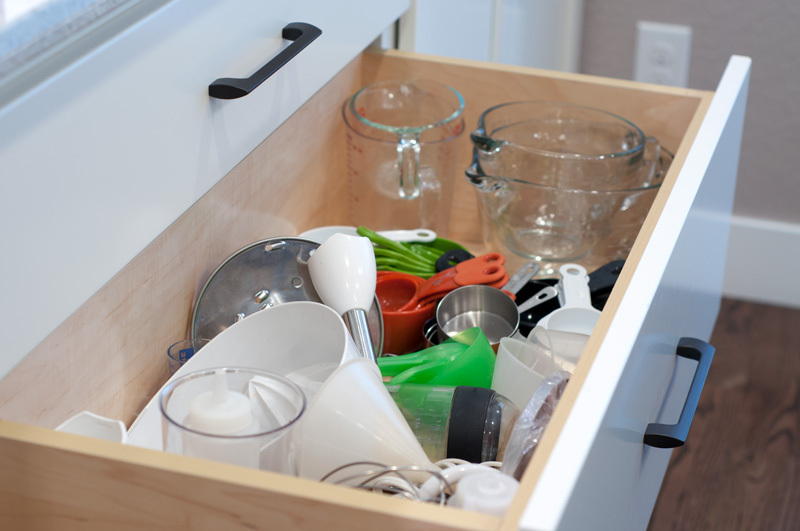 If you have a kitchen remodel in your future, or just want to reorganize a bit, I hope this post proves useful! Let’s start the tour as if you were entering from the front hall. 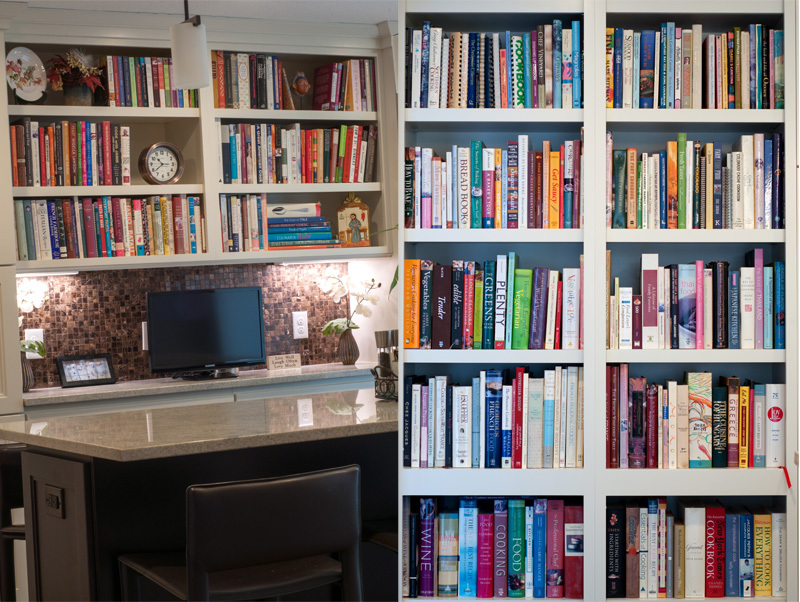 When you come through the arch into the kitchen, you’ll be facing the wall of cookbooks with the TV underneath, and the floor to ceiling cookbooks shelves will be on the left. 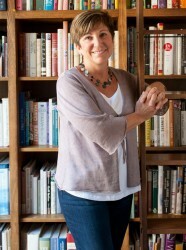 I gave away 250 cookbooks last year, so this is the 350 I kept! I’ve never had a TV in the kitchen before – every house I’ve had until this one had the kitchen open to the family room so you could see the TV from the kitchen. While the floor plan of this house is pretty open, the family room TV is around the corner so I added a small TV in the kitchen. Since I’m a cooking teacher, I like being able to seat students on both sides of the island for eating after a lesson. So my island itself is quite narrow – 18-inch cabinets underneath that open from one side – and includes 2 overhangs to fit 8 bar stools. I also keep extra stackable stools in the basement that can be added to the ends of the island to accommodate up to 12. 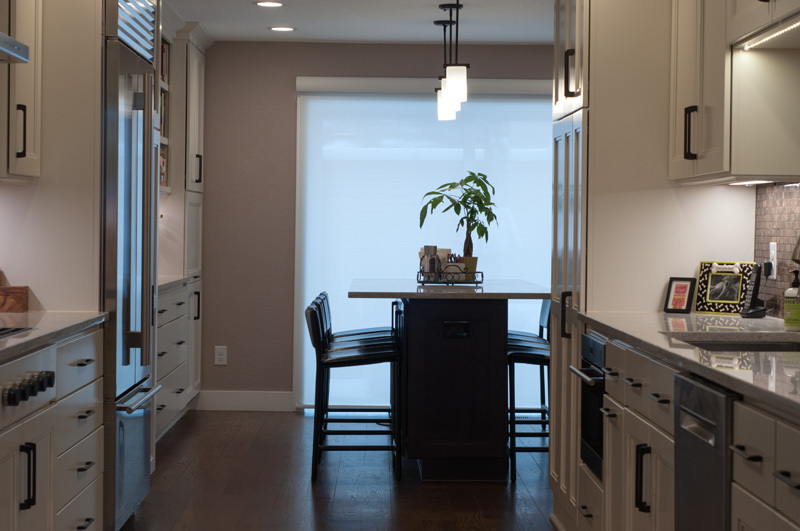 The pendants over the counter combine with recessed lighting to ensure a nice bright workspace. 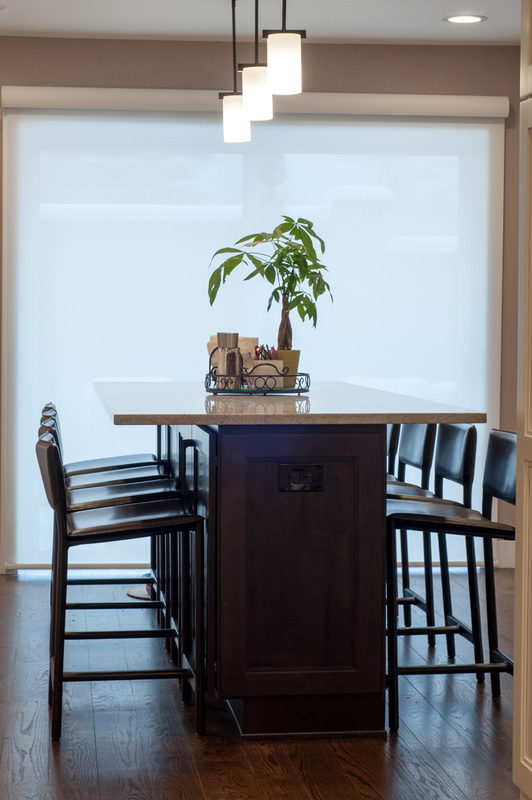 The island itself fits two rows of large cutting boards across, and the mesh roller shade over the large sliding door lets light in without letting in sun rays to damage the floor, cabinets, or art. I’ve never purchased “kitchen art” before – most of my other kitchens had no wall space to fit anything. 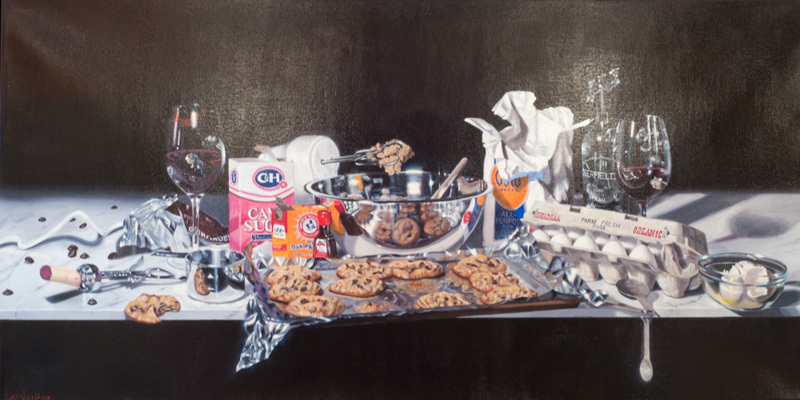 But this giclée from an artist in San Francisco grabbed my attention and I had to have it for the kitchen! 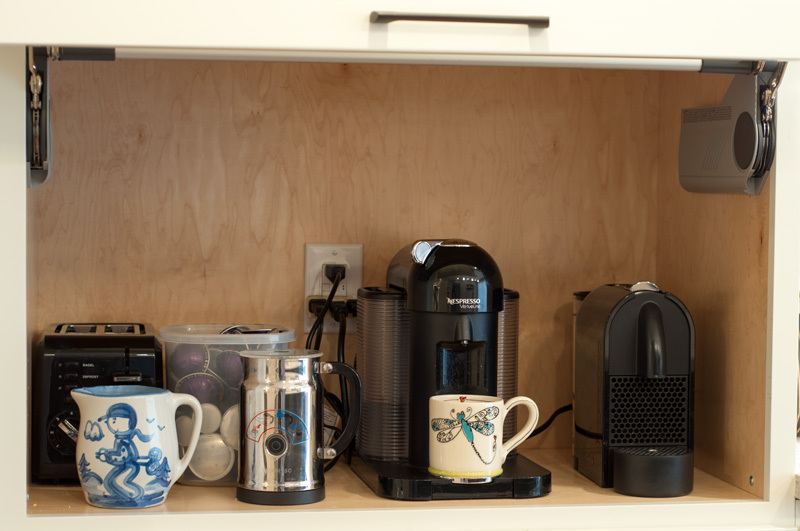 I have appliance garages on either side of the counter space adjacent to the island – one houses my Nespresso machines and toaster, and the other my countertop appliances. 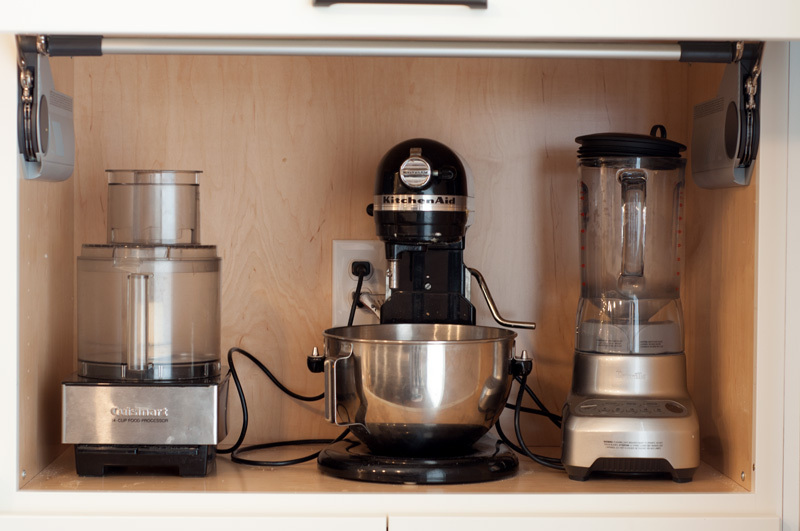 The cabinet doors lift up out of the way, and this is one of the best ideas I’ve ever come up with for my kitchen. Everything is within reach and requires no heavy lifting to access. One side of the galley kitchen houses the under counter microwave (easier than lifting hot and heavy things from something overhead!) next to the sink, dishwasher, and wine fridge. 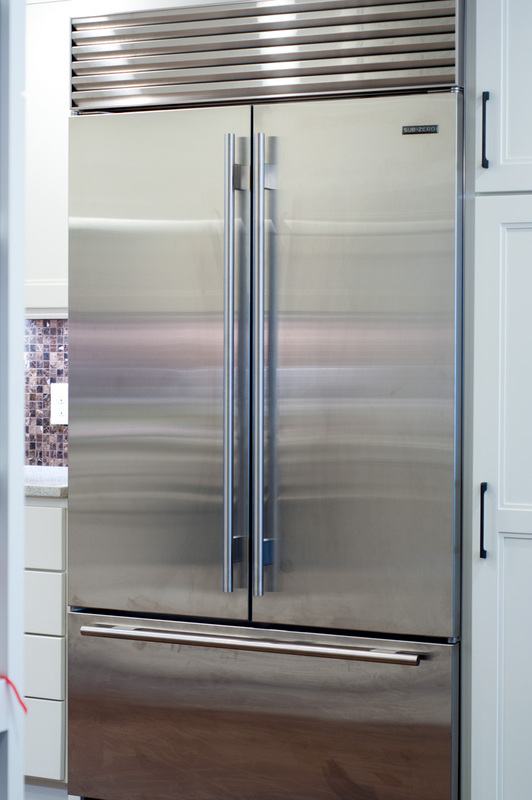 Note that the drawer microwaves have a much smaller interior space because the drawer mechanism takes up space – opt instead for a door that drops down or opens to the side. I insist on a single large sink – as large as you can fit! – instead of one that’s split down the middle. It’s the only way to handle large baking sheets and roasting pans. I’ve had a farmhouse sink for the past 9 years, but found water drips down the front of those and ruins cabinet faces. So this time I opted for a large Kohler stainless steel sink. It comes with a stainless rack to protect the bottom which I immediately ditched because glasses and dishes aren’t stable on it. 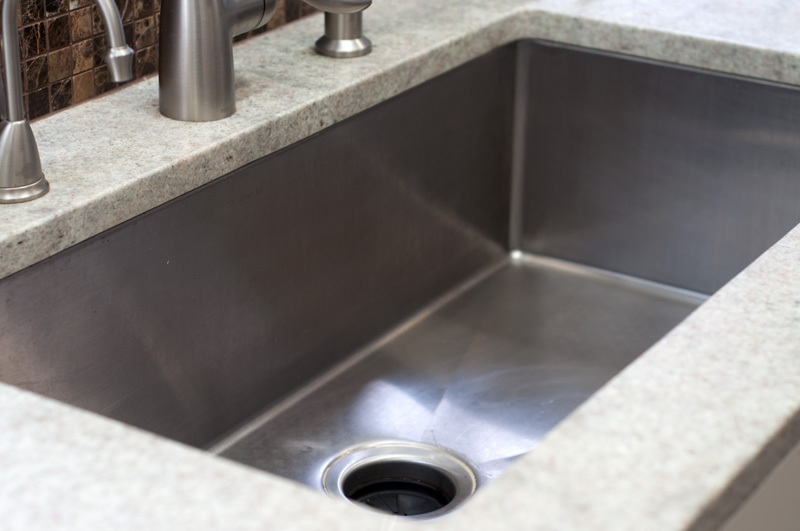 Opt instead for flat silicone mats for your sink to protect it and replace them when they become discolored. 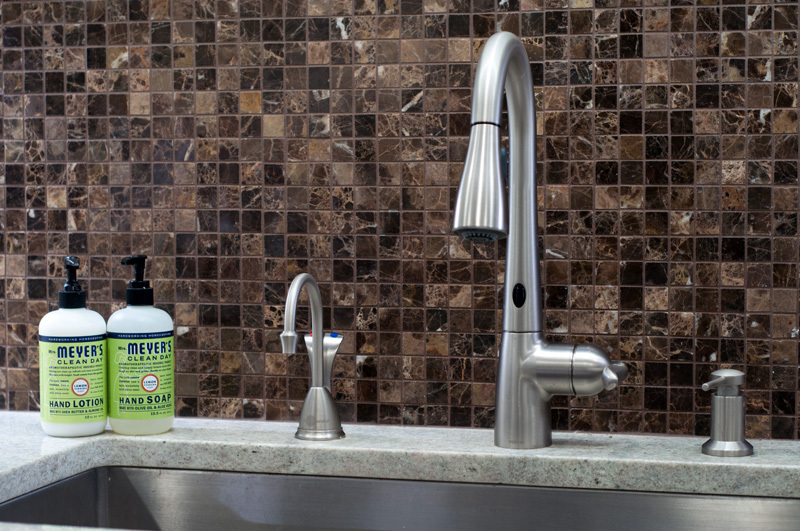 I splurged for a fancy Moen faucet that turns on and off without touching it – great for when your hands are filthy and I find I almost never touch it and I’m glad I spent the extra money. So many people asked me if I put in a pot filler at the stove. I’ve never understood what that really accomplishes. You still have to lift the heavy pot of water – usually when it’s boiling hot! – to drain it, so this seems like a waste of space and money. 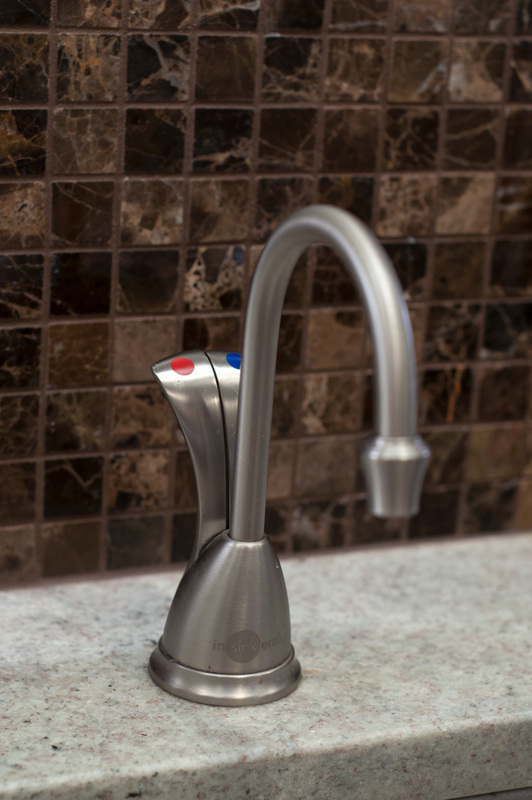 However, an instant hot and cold filtered water spout (mine is by Insinkerator) is a fabulous edition. The filtered cold water is great for drinking, and the instant hot is obviously great for making tea or hot chocolate. But what I learned is it’s also great for filling a pot of water for pasta. The water comes out nearly boiling temperature, so the pot begins to boil in a minute or two. The extremely hot water is also great for soaking something with hardened on food to release it. 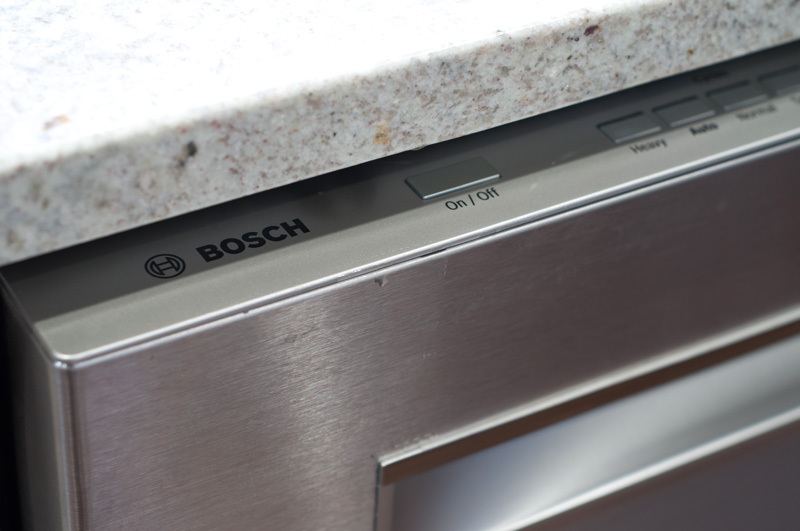 My dishwasher is a Bosch – they rule for quiet. I downsized from an 800-bottle wine cellar in my old house to this 23-bottle undercounter wine fridge and have made it work just fine. 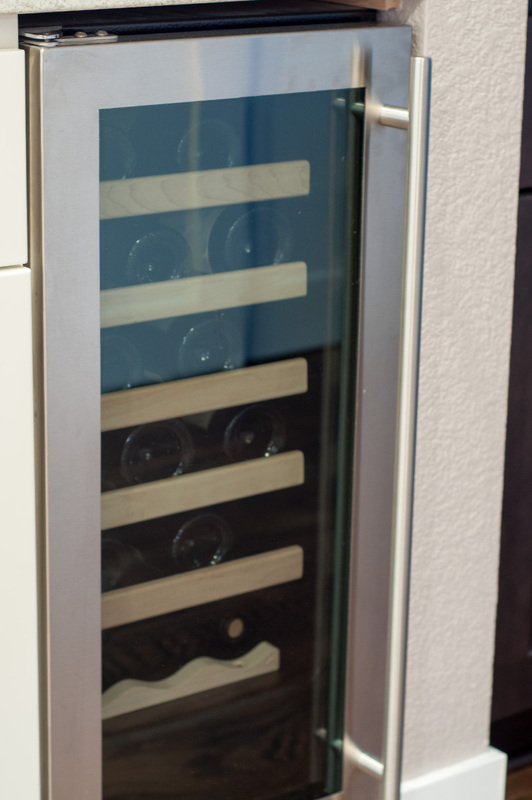 I store red wine in here, then the white, rose’ and bubbly in the fridge in the garage. The other side of the kitchen starts with pull out pantry shelves (there is also a large pantry section to the left of the microwave) and continues with my Sub Zero side by side refrigerator. I had the Pro 48 model in my old house, but it’s super big and honestly, since I live alone now, I really don’t need that much refrigerator. (I have one extra refrigerator-freezer plus a stand alone meat freezer in the garage.) So I opted for the 42-inch side by side, and I’m really happy with it. I don’t think it’s worth having a internal water dispenser in refrigerators – they just take up space and I have filtered water from the sink already. Next to the refrigerator is the stove flanked by two large counter spaces on either side, and ending with the Wolf double all ovens. 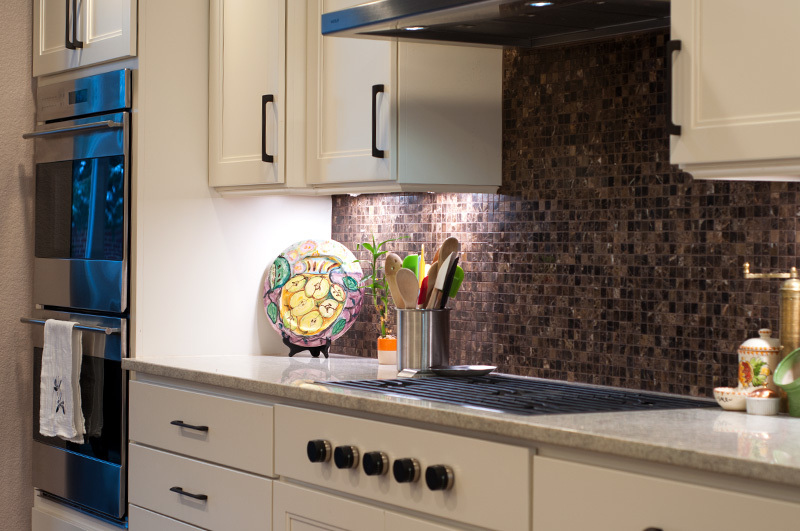 Make sure to work with your cabinet designer to make sure your ovens are installed at the right height for you! 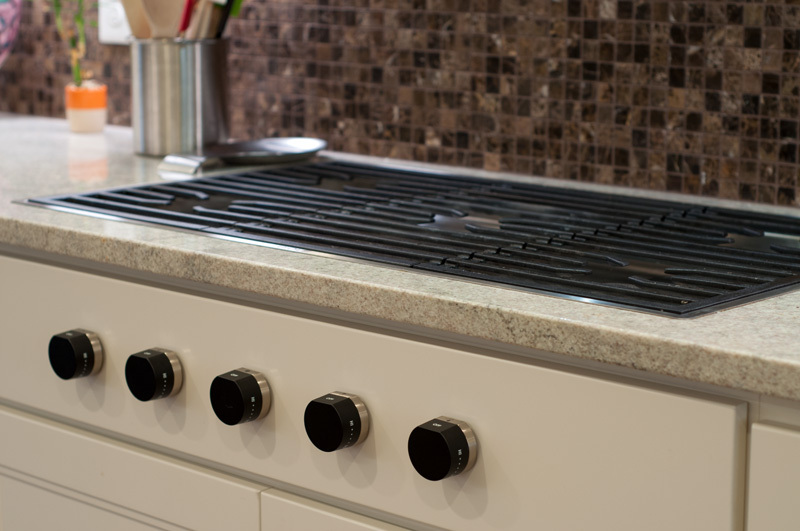 My stove is one of my favorite additions to the new kitchen – the sleek Wolf gas cooktop sits flush with the counter, making it exceptionally easy to move things on and off the stove, and the controls that are mounted on the apron of the cabinet light up to tell you they are on. 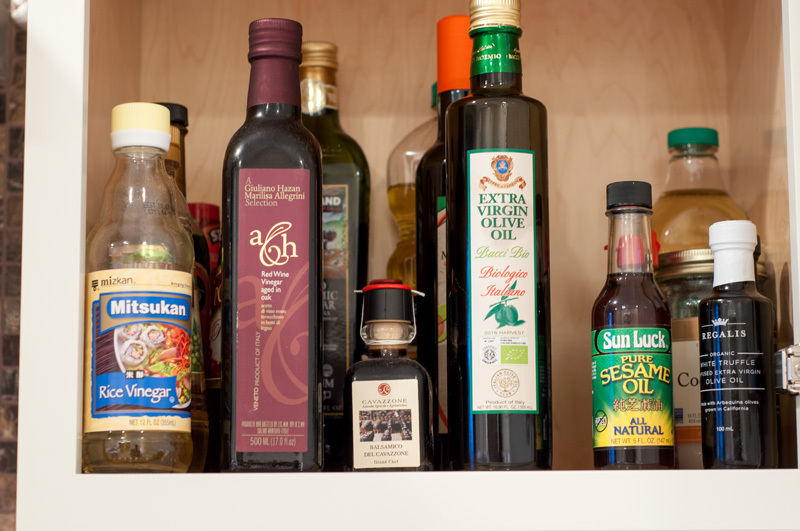 Let’s talk storage, starting with what doesn’t belong near your stove – any of your high quality oil which will turn rancid from the heat. I store mine in an upper cabinet close by to access but far enough from the stove to be protected. 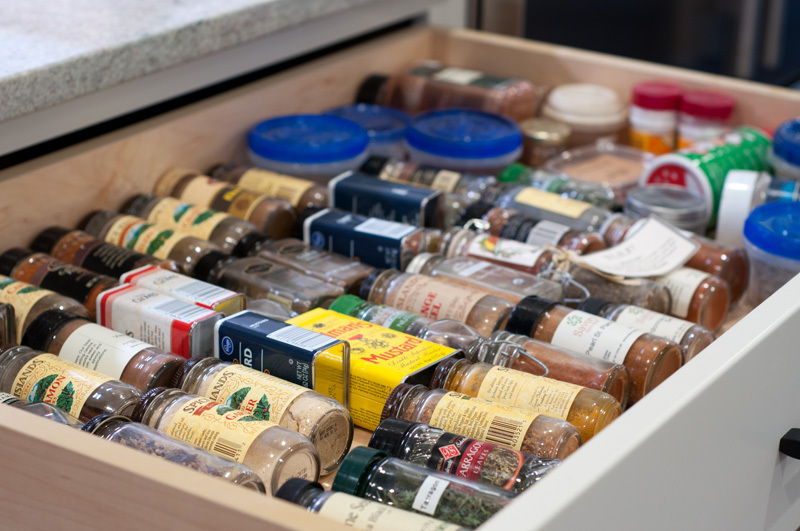 I keep spices in a shallow drawer to the right of the stove (I’m right handed) and they are alphabetized not because I’m a control freak, but because it just makes it easier to find things. 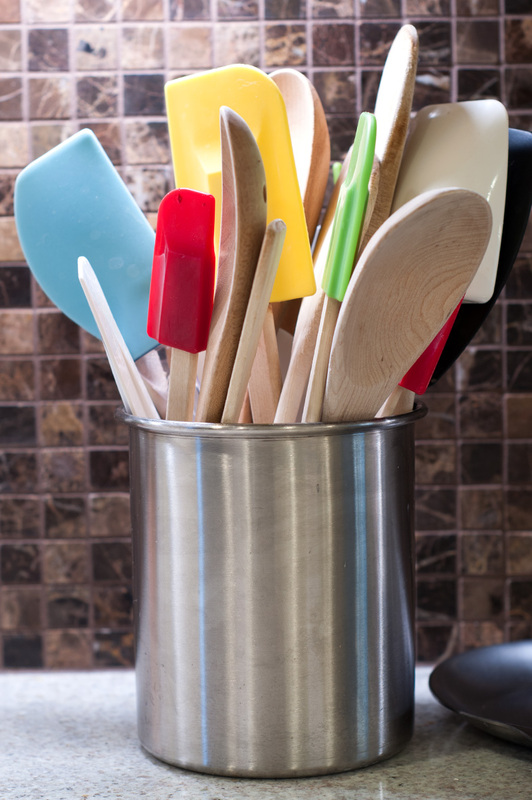 I keep a utensil canister on one side of the stove, although I limit what’s in it to spatulas and wooden spoons… …and salt and pepper on the other side. I have whole peppercorns for grinding, pre-ground black pepper, Kosher salt, and sea salt. 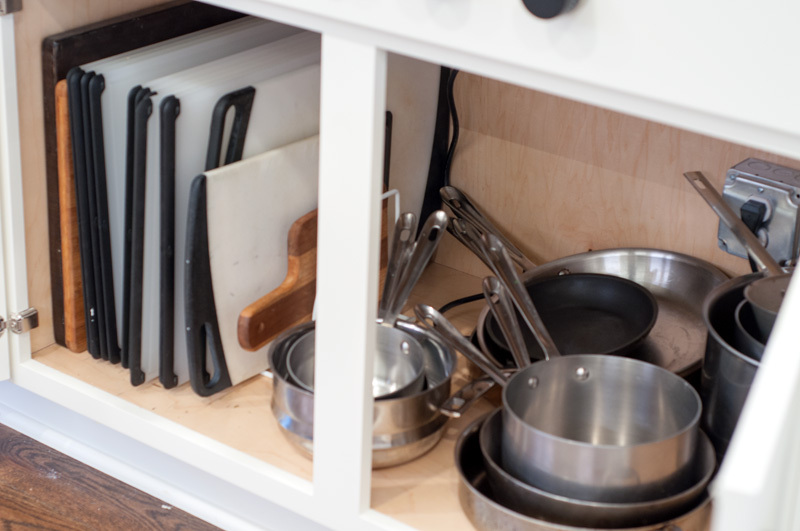 To the left of the cooktop I store utensils in two medium depth drawers. Nothing makes me so crazy as everything thrown into one drawer, making it impossible to find anything. 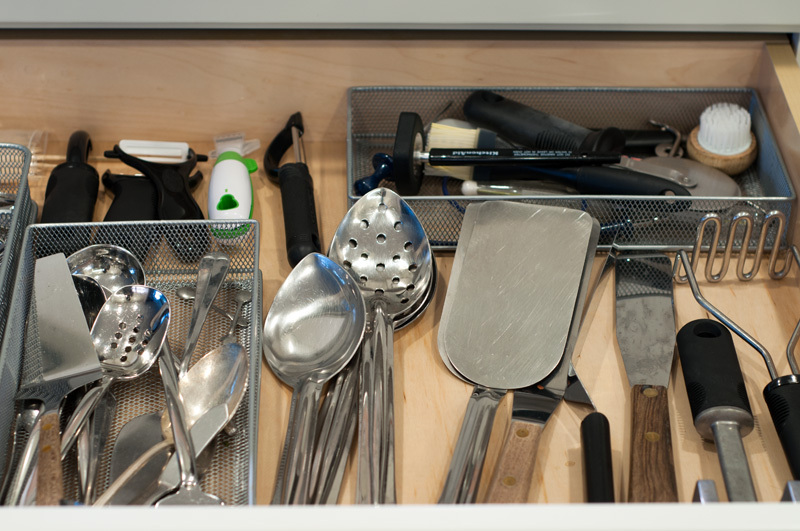 Reduce what you have to what you really use, then organize by types of utensils with dividers like you see here. 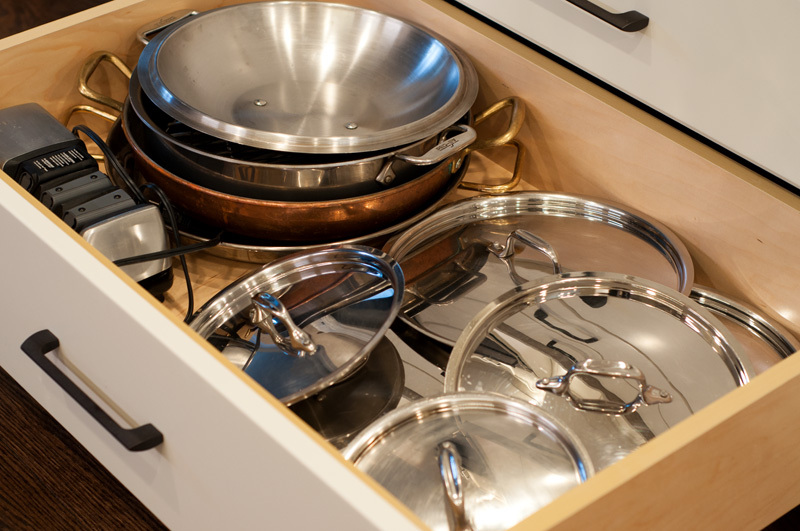 One reason I prefer a cooktop with wall ovens (over a range with ovens below the cooktop) is so I can store pots under the cooktop. I also store cutting boards here with a rack that keeps them upright. 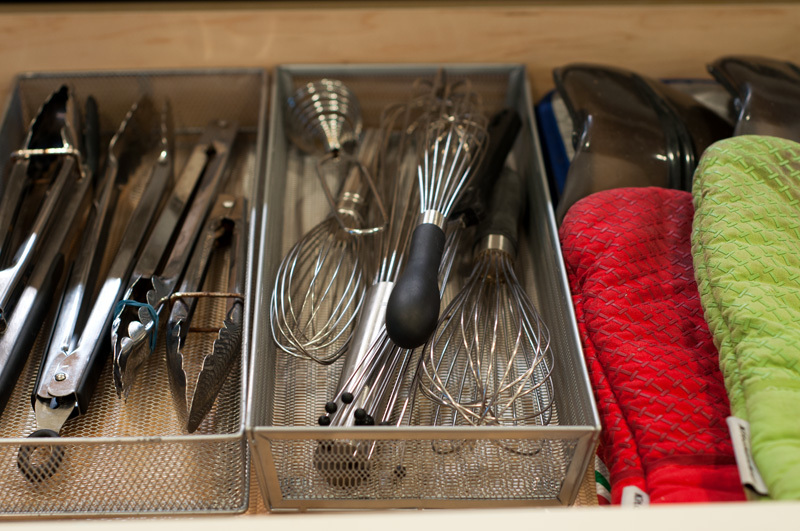 I keep all of the lids in the bottom drawer next to the stove for easy access. 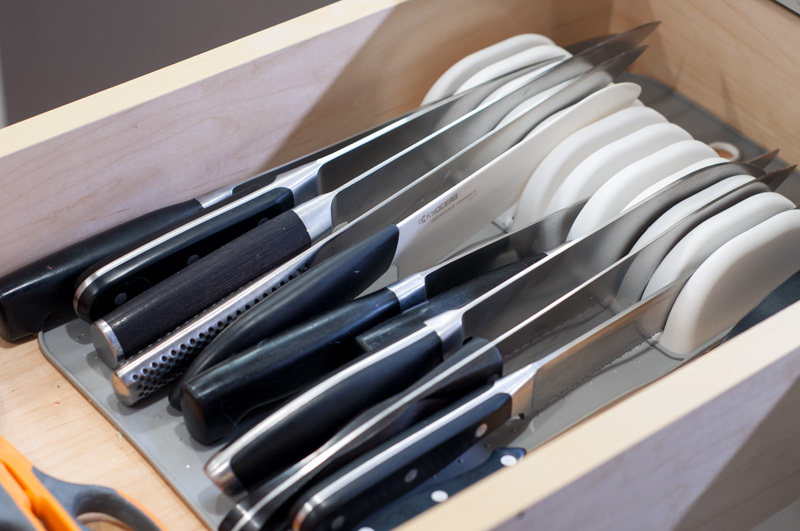 I don’t like knife blocks because they take up a lot of counter space, and prefer instead a knife mat that keeps them safe in a drawer. You’ll notice I have almost exclusively chef’s knives as they are the most useful in a kitchen. What is the best knife? One that is sharp and fits well in your hand – it’s really that simple! 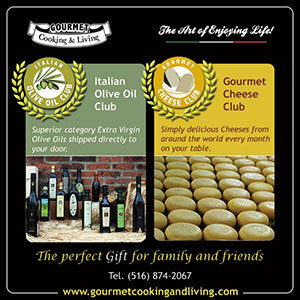 I do keep a small jar of extra virgin olive oil, from the cooking school in Italy where I take guests each year, on the counter, but far from the heat. 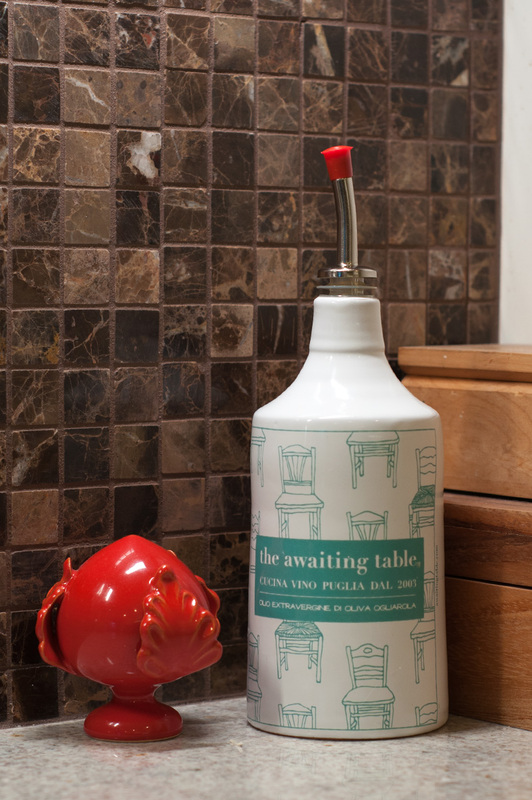 And that red ceramic bud is a pumo de fiore from southern Italy, meant to bring good luck! 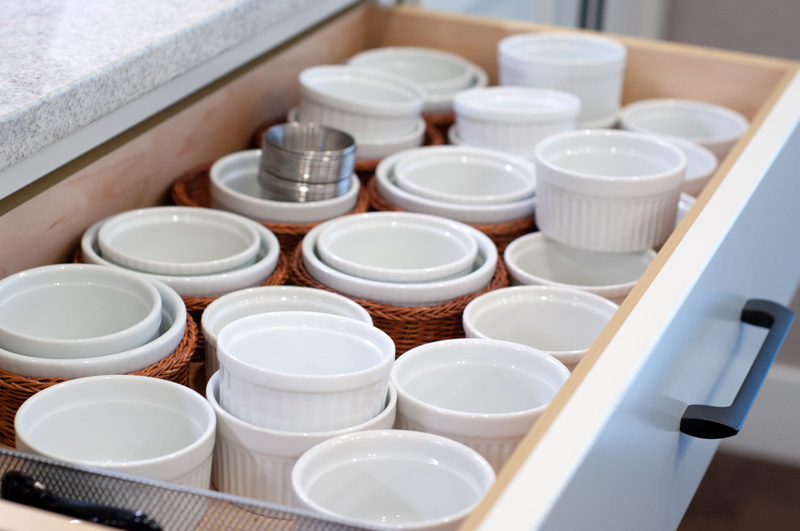 I opted for a lot of drawers in my design, some deep to hold things like all of these measuring cups… …and some shallow to hold things like knives, these ramekins, and a junk drawer. But cabinets with shelves have their place too. 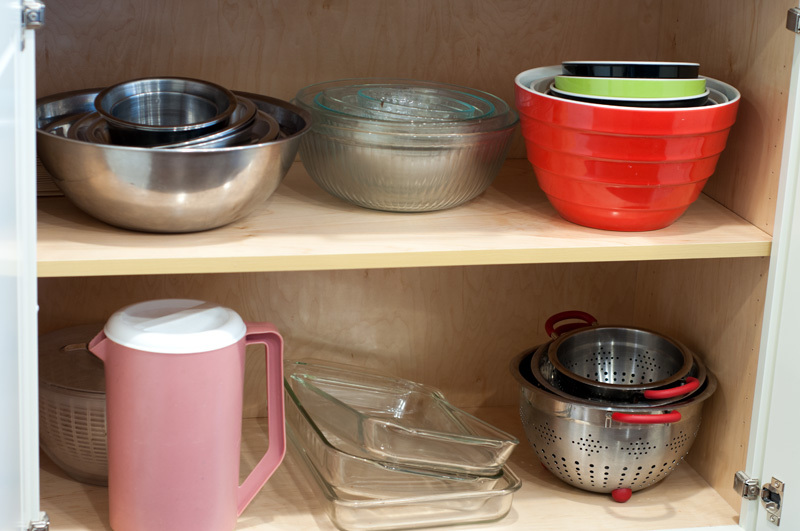 I find it easier to access all of my bowls from this cabinet below the counter – and don’t be afraid to remove a shelf if fewer but taller shelves fit your things better. 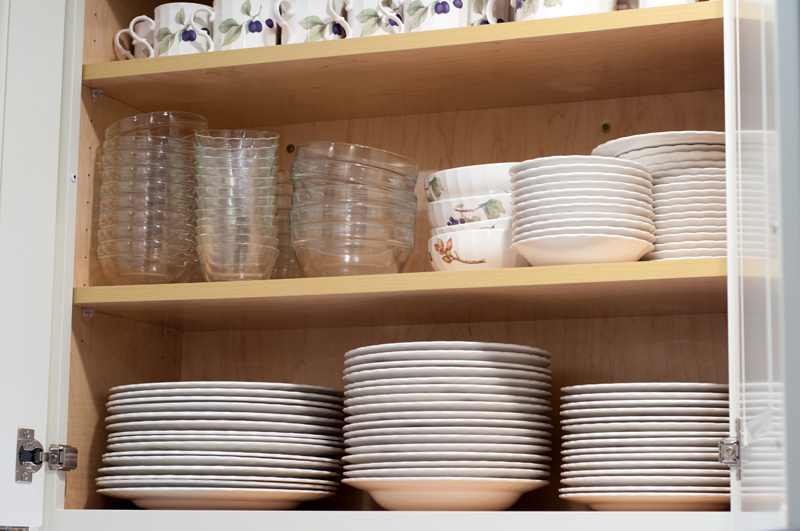 For upper cabinets, move around the shelves to best accommodate the dishes and things you store there. Originally the first shelf in the upper cabinet shown here was too low, forcing me to split the stacks of plates. By moving it up a couple of notches I can fit all of the plates in single stacks, which in the end means more things stored on the first (and most accessible to me) shelf. Finally, let’s talk counters. 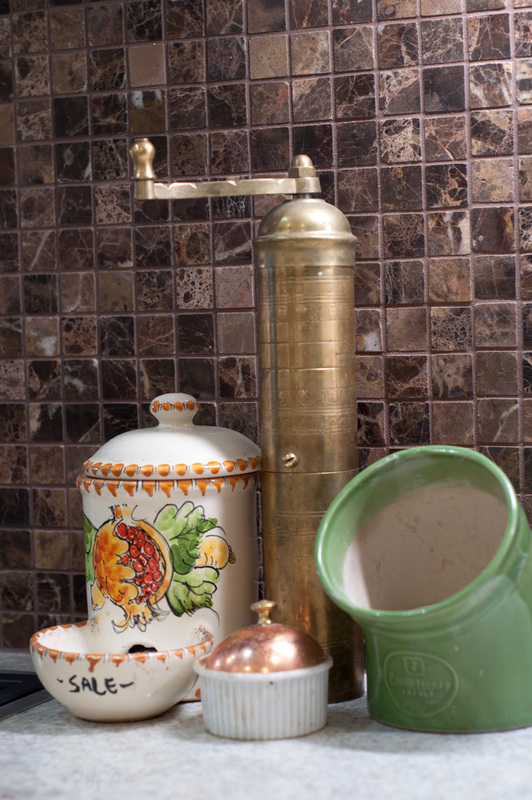 I have every surface imaginable over the years – 4-inch pink tile with wide white grout (worst design ever! 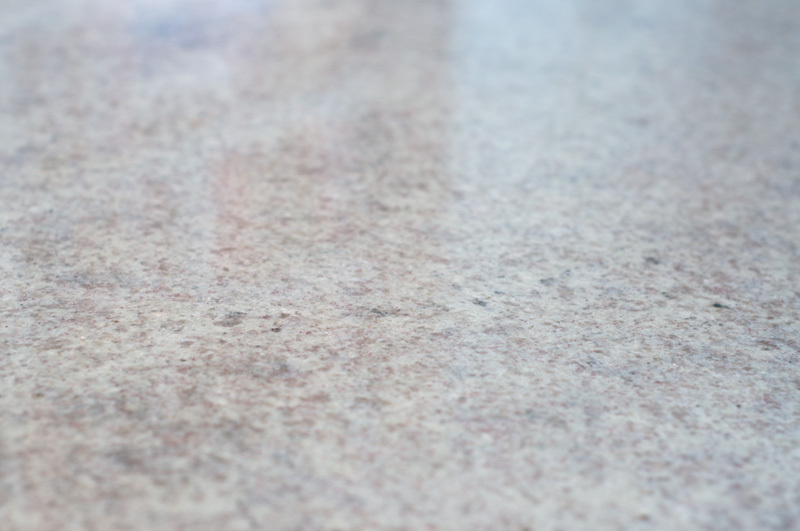 ), large granite tiles, solid granite slabs, and soapstone. I wanted a lighter feel to this kitchen, but marble isn’t practical based on how much cooking happens at my house. I don’t love the solid look of manufactured stone, but also didn’t want a heavy pattern of most granite. 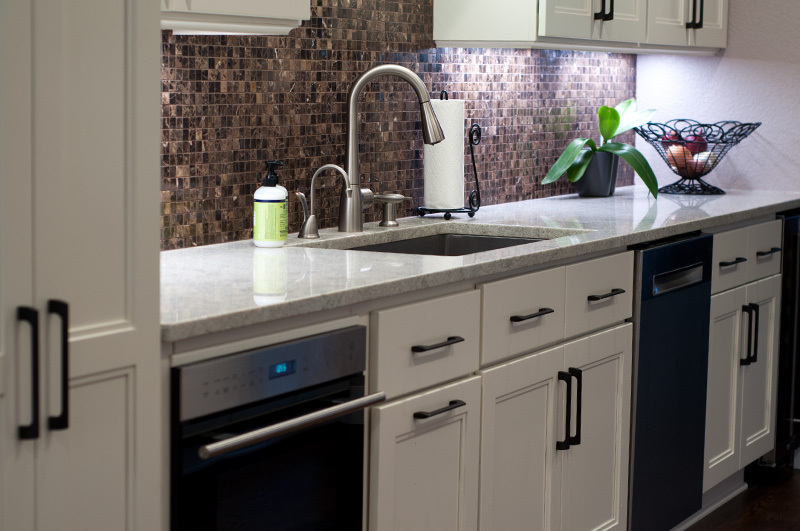 The perfect choice was Bianco Montanha Granite – it has the look of marble with the durability of granite. If it stains – I discovered with a bottle of red wine soon after moving in – simply make a paste of hydrogen peroxide and baking soda to soak out the stain. 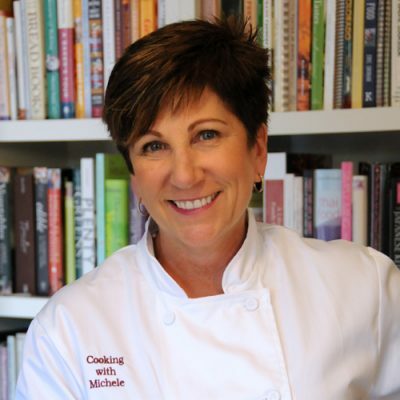 I’d love to have you in my kitchen for a class or dinner party – call me to set up your adventure!